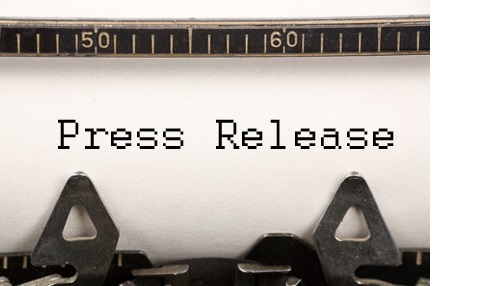 VANCOUVER, BC / ACCESSWIRE / October 31, 2018 / Ximen Mining Corp. (TSX.v: XIM) (FRA: 1XMA) (OTCQB: XXMMF) (the "Company" or "Ximen") is pleased to announce the plan to re-open the portal and carry out additional drifting and underground drilling spring 2019 on the Brett Gold Property, located near Vernon, British Columbia. Initial underground development on the Brett Gold Property (see Photo 1) commenced at the portal location in November 1994 and continued until February 1995. During this period 360 meters (1200 feet) of underground development was finished. Additional underground work commenced on December 4, 1995 and continued into early 1996 (see Photo 2) To date, a total of 459 meters (1506 feet) of workings have been completed which includes drifts, raises and bypasses around unstable areas. The portal has been closed off and buried for several years (see Photo 3) for public safety concerns. 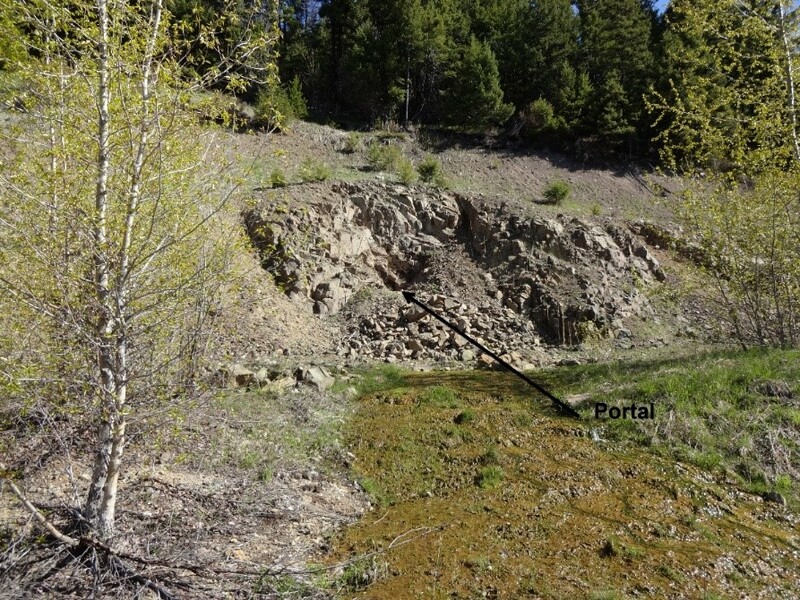 A site crew has been mobilized to open up the portal and install an entry gate which will allow the Mine Manger to control access at the portal. Once the gate has been installed the condition of the underground workings will be accessed and any redial work (e.g. timbering, rock bolting, etc.) needed for safe access for drilling and drill stations will be completed. Ximen is in the process of submitting the necessary permits required for the rehabilitation of the existing underground workings, additional drifting and completion of underground exploration drilling. 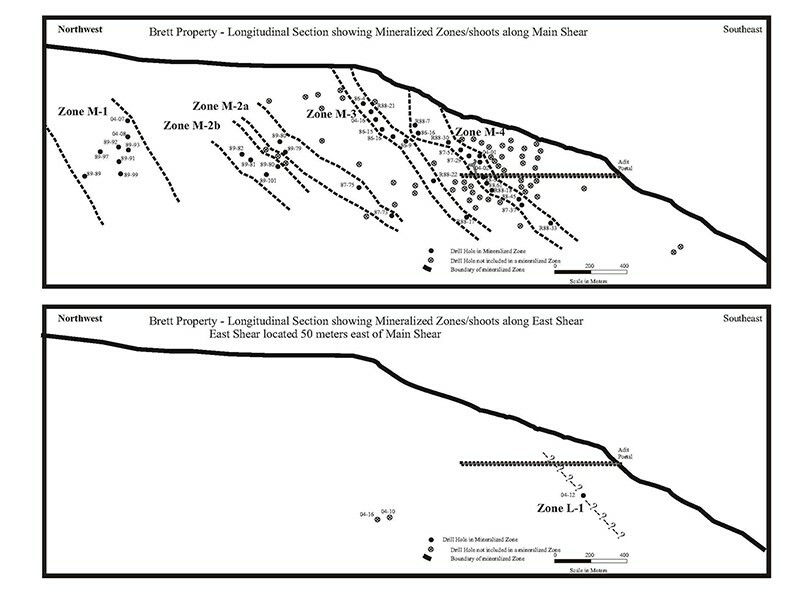 Underground drilling will focus primarily on intersecting previously identified mineralized zones M-1, M-2 and M-3 (see Photo 4) with an intent to define the rough gold grade and tonnage of each zone. Approximately 250 meters of drifting and cross-cutting is planned with a further extension of the main drift 100 meters to the north and 50 meters to the east to intersect the next shear structure. Drifting to intersect the L-1 mineralized zone identified in 2004, parallel and east of the main shear zone is also intended. This shear structure was intersected in Hole 04-12 across a core width of 1.3 meters (4.3 feet) grading 176 g/t Au (5.141 oz/ton Au). Short cross-cuts both east and west may also be carried out to follow parallel gold bearing shear structures. The Brett Gold property was acquired by Ximen in late 2013 with additional claims staked in 2014 to include the former Gold Star property. Prior to its acquisition, previous work on the Brett property from the early 1980´s through to 2004 included over 15,000 metres of diamond drilling and 459 meters of underground development. Exploration work on the epithermal gold property by Ximen in 2014 included ground magnetics/VLF-EM, soil geochemistry, biogeochemistry, rock sampling, geological mapping, induced polarization and 2,977 meters of diamond drilling. Thirteen drill holes were drilled to test geological, geochemical and geophysical targets. All of the holes were drilled to test new targets that were untested, or only minimally tested, by historic work on the property. Widespread alteration was identified in several areas. Some core samples from the drilling program reveled high gold intersections. Two new high-grade gold-bearing zones were identified, with results including 34.18 g/t Au over 0.9 m from one zone and 16.7 g/t Au over 1.5 m from the second. Significant intervals of bulk tonnage gold mineralization were also intercepted, including 1.77 g/t Au over 31m, 1.88 g/t Au over 16.55m and 0.82 g/t Au over 33m. In 2016, Ximen drilled sixteen drill holes totaling 2,364 m on specific targets which resulted from geological interpretation conducted on cross-sections. Some core samples from the drilling program revealed high gold intersections. Drill hole 16-1 intercepted an interval with 18.95 g/t Au over 1m, drill hole 16-2 intercepted an interval with 3.13 g/t Au over 1.1 m, drill hole 16-11 intercepted 13.35 g/t Au over 0.58 m and drill hole 16-17 intercepted 5.7 g/t Au over 0.5 m.
Neil Froc, P.Geo., a Qualified Person as defined by NI 43-101, is responsible for the technical information contained in this News Release.